Call of Duty is supposedly adding its own Battle Royale mode to benefit from the growing popularity of PUBG and Fortnite. Battle Royale mode has been all the rage among players ever since its debut on PUBG and Fortnite. In addition, there are multiple reports suggesting that the upcoming Call of Duty title will ditch the long-running single player campaign. According to Polygon, Black Ops 4 will be the first Call of Duty game to ditch the single-player campaign. Polygon reported that since the multi-year development cycle for Black Ops 4 pushed its release toward October, it became clear that the single-player campaign would not be completed. However, nothing has been confirmed, and Activision has decided to keep the development under wraps until the official debut of the game on May 17. 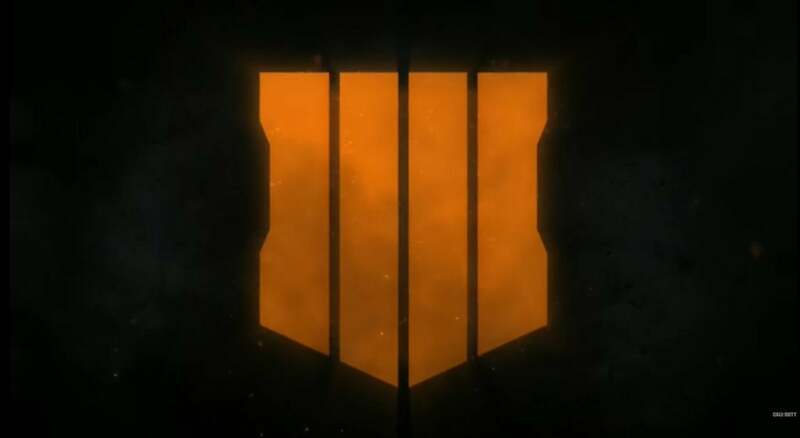 A separate report from Charlie Intel suggested that the Battle Royale mode will be focused to “fill the content gap” that is lacking in the single-player campaign and will be created by Raven Software, which is known for developing Cult Classic Singularity and downloadable content (DLC) for the Call of Duty series. According to Charlie Intel, Activision felt that the Call of Duty: Black Ops 4’s “campaign was ‘too out there’ and ‘outlandish’” and thus canceled it to allow Treyarch to focus on multiplayer mode. It’s no surprise that Battle Royale is ending up in cult games like CoD, as the mode has grown immensely popular, thanks to PUBG and Fortnite. However, replacing the single-player campaign with Battle Royale mode is indeed a surprise. Lately, Activision has been more focused on infusing new content into the Call of Duty games. Reports indicate that both Activision and developer Treyarch are looking to explore multiplayer and zombie elements. Polygon also reveals that both multiplayer and zombie modes will be extended compared to their lengths in previous CoD games. In the early games, the makers of Call of Duty differentiated their campaign mode with striking visualizations, cinematic storylines and exceptional missions that sent players on trips to the past, present and future. Newer Call of Duty games have been bustling with various modes. Two-player mode and co-op mode were already included in Black Ops 3. Two years ago, the publisher even offered a remastered version of the classic Call of Duty 4: Modern Warfare to PlayStation owners with the release of the new CoD game. It will surely come as a big disappointment for some players, but for the game maker, it could be a smart strategy. The decision to cut campaign mode may have been based on a study that hours spent playing multiplayer mode outperformed hours played in campaign mode. Statista.com revealed that three of the top five highest-selling CoD titles have been from the Black Ops story arc. The first edition trailed only Modern Warfare 3, selling over 30 million copies. The other two newer titles, WWII and 2016’s Infinite Warfare, sold over 25 million copies combined as of January 2017, far fewer than the 2009 Black Ops release. Even without a Battle Royale mode, Call of Duty is still beating Fortnite in terms of digital spending. According to Superdata, Call of Duty: World War II was the highest-earning digital game on a console, whereas Fortnite: Battle Royale took the third spot in February. On the PC, Fortnite came in sixth place, whereas PUBG came in fifth. To some, it might sound bizarre how the raging popularity of Fortnite does not help it earn more revenue than Call of Duty. The catch is that Fortnite works on a free-to-play model and earns revenue only from cosmetic purchases. On the other hand, paid games like Call of Duty offer in-game purchases and DLC packs to earn extra revenue. More information on Call of Duty: Black Ops 4 is expected to be revealed on May 17. The Black Ops game will be released three years after Black Ops 3 in 2015. However, Call of Duty game releases have been steady, with World War II being the latest. Now with Black Ops coming towards the end of the year, Treyarch will be hoping to at least repeat the success of World War II. The teaser for the game revealed only a little, showing the contemporary settings, vehicles, drones and zombies. Now all eyes are on the event next month to get more details about the game, including the existence of Battle Royale mode and the missing campaign mode.